shove a plant tab into the pot later. (everybody say "Hi, Paula! "), and yes, she's really smiling. Ready to get dirty? 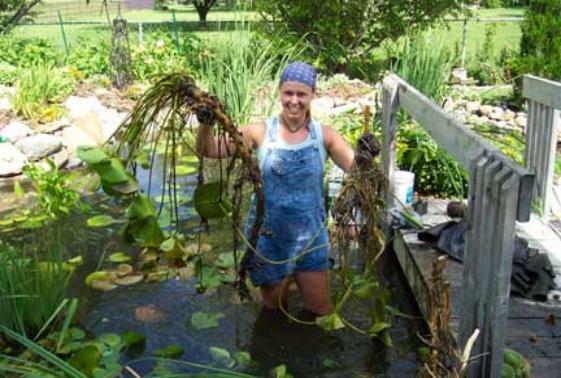 Then you're ready to repot a waterlily. NOW we're talkin' FUN!! material from your pond regularly.